The Boston Tea Party,16 December 1773, (1872). 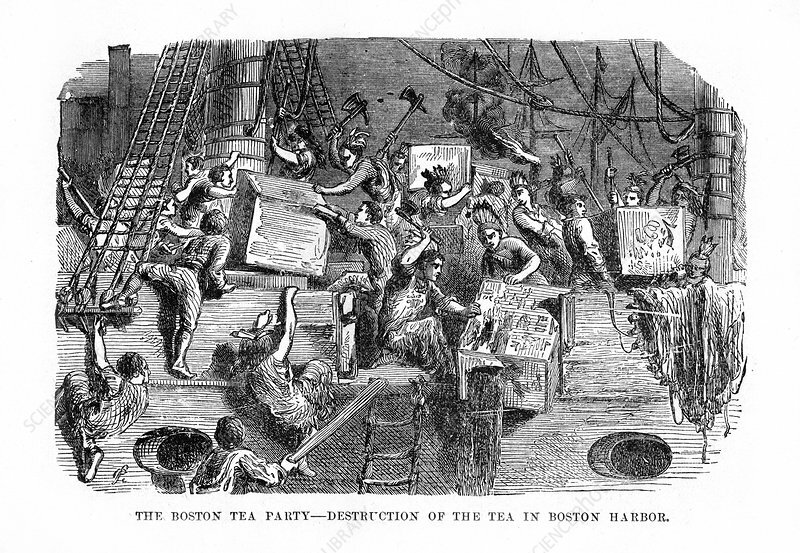 The Boston Tea Party was a protest by the American colonists against Great Britain in which they destroyed many crates of tea on ships in Boston Harbour. The incident, which took place on Thursday, December 16, 1773, has been seen as helping to spark the American Revolution. Engraving from John Gilmary Shea's A Child's History of the United States, Hess and McDavitt, (New York, 1872).